Beer is unquestionably the most popular drink in the whole world - apart from water, that is. Born in ancient Egypt to keep slaves on their feet, perfected through history, every culture took and gave something, making it better and better every time. Ales are usually more complex and more aromatic than lagers. They differ in colors, spices, aromas - each of them appeal to different tastes. They range from browns to wheat bears. This group includes the charismatic English porters, the well known Guinness as the most popular stout, Belgian beers, and sours (the name speaks for itself). Lagers are bit different. They are lighter, with more crisp, and like revenge, they are best served cold. The most known is dark lager which - contradicting the beliefs- is quite light. Pale lagers are rightfully the most known worldwide, with its distinguishing taste. The most flavorful and characteristic are the “bock”s, with colors ranging from the brown of autumn to the black of the night. As you can see, in the 21th century, we live in the golden age of beers. Every country says they love beer, and Hungarians do too. So why don’t you try out the best of our bests in a revolutionary sightseeing tour, beer biking? Or, in another word, pedalbar… what is this insanity, you may ask? 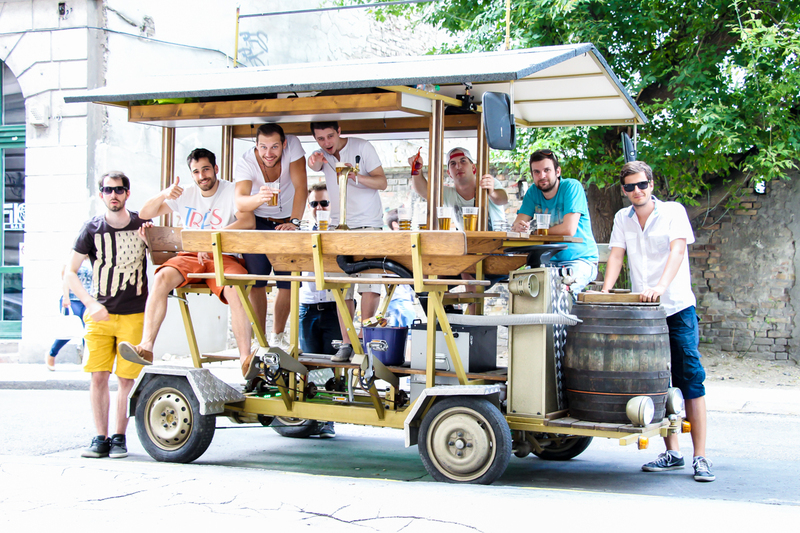 For the best Budapest beer bike deal, check out our current promotions! We promise - you won’t regret it! And heck, with that price you simply can’t go wrong.